The name of this chapter is not the beginning of a fairy tale but a remembrance of a lifestyle that existed when I was a child in the 1940/50’s in the United States of America. It may read like a fairy tale to those who did not live in the pre-television era but nevertheless it was my reality. My childhood was carefree, happy, and fun. There are two main reasons why I wish to share this moment with you. Soon the memory of those days will be lost. It is not that the period before television was perfect but there was a simpler and more moral style of living. While you read this try to feel the ease, modest, slower pace of living and think about what can we use from “then” and apply it to our “lifestyle now”? It is not possible to turn the clock back, nor do we wish to, but we can learn from the past to improve the future. We have used this method of building on the past in many fields but not in our family lifestyle. Advancement has been focused on science, medicine, education, materialism and technology but the wholesomeness and togetherness of the family is being lost. Our family values, our heritage of commitment, caring, forgiveness and just plain selflessness is disappearing. 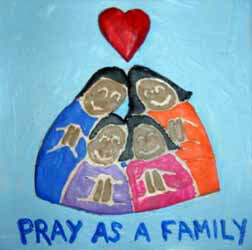 When I was a child there was a stronger sense of religion, community, time for self, children, and family. Where is this today? My family lived in the county of St. Louis, Missouri. It was a small town called Jennings. My parents were born and lived there until their death. My living environment extended to my home, church and school. I went to the Catholic Church and school which was just blocks from our home. My childhood world was small, intimate, easy to understand, yet large enough for a child. 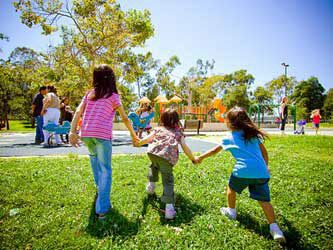 The familiarity of surroundings and the extended family gave emotional support. When we compare “then” with “now” the child is exposed to many unfamiliar experiences, television, world-wide-web, changing schools and homes, day care providers, divorce, etc. Today the child lives in a persistently changing environment that can cause some insecurity and uncertainty. I sometimes wonder if the over stimulated reality in their life is too much for their nervous systems and they sometimes prefer to hide behind the screen of a computer, etc. My grandparents, uncles, aunts, cousins, and school friends lived within walking distance. My parents knew all the children and their parents that I played with. They went to the same church, had the same values and religious beliefs. There was no contradiction of these beliefs, no moral confusion, no isolation, only an atmosphere of dependability. My identity and security as a child was built on a solid emotional foundation. I knew what was right and wrong, my religious beliefs were supported by all, and my family was an extended support system. Some would argue that it did not allow for the challenge of new concepts. Emotional stability for children is essential. The ability to question new concepts can come later when we have enough experience to understand what needs to be questioned. Today children are given a good deal of conflicting information even in the school system and many do not have the safety net of the extended family/community that confirms the views of their parents. This can lead to confusion about their identity. My day began with mass at church before school. The nuns taught me piano which I began at the age of 6 and the priest taught us sports after school. I took care of my own free time. 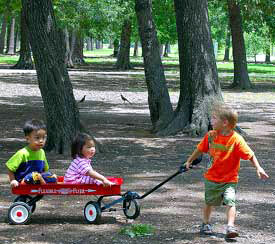 It was clear from the beginning of my childhood that we are responsible for our own chores and activities. Self-responsibility was engrained. It was not the age of spoiling but building self-reliance. All the children played and organized games themselves such as playing school, building towns in the sand, sports, creating plays, singing and dancing, etc. We used our imagination because we did not have many toys. Simple toys, yes. A ball and bat, jumping rope, a doll for the girls, a kick ball for the boys, it was like that. I did not receive my first bike until I was 12 years old. And it was a very big deal. I remember the years of waiting only increase my appreciation of the gift and the sacrifice my parents made to give it to me. My grandmother came every day and when grandpa died she lived with us. My mom and grandma did everything together. Talk about the stability of routine in my life. They washed on Monday, ironed on Tuesday, baked on Wednesday, shopped on Thursday, cleaned house on Friday. Everyday, every meal was prepared by them. We ate dinner together at the same time everyday except on Sunday. Sunday dinner after church was a special event. We ate at home, all the family, together. We did not go out. I wanted to learn to sew. Singer Sewing Machine Company gave lessons in downtown St. Louis. I took the bus into the city, received the classes and by the age of 13, I was sewing my own clothes. My mother did not have to take me because once upon a time we lived in a safe environment. My parents stressed self-responsibility. There was a mental attitude in the 1940’s, to Love God, Country and Family. It was important to serve and help others. During the Second World War young boys of 16 and 17 years signed up to protect our country. Later history recorded that even a 12 year old slipped by the authorities and joined the army. This would be unthinkable today. Discipline was the order of the day, in my house and school. If we misbehaved, we were corrected and disciplined. A few swats on the bottom, went a very long way for changing behavior when I was told to do something more than once. Today spanking is considered child abuse and parents can be reported. 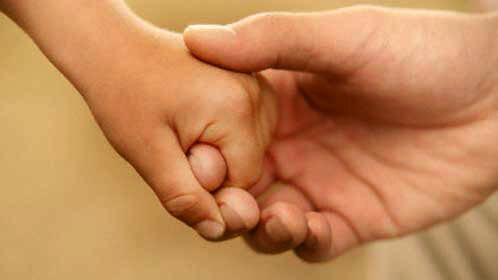 The child-abuse hot line is a very useful tool for the children who are being abused. But there are always people who find a way to take advantage of whatever is good for society and then misuse and exploit it. The child-abuse hot line personnel assume parents are guilty until proven otherwise, thus giving our children parental control. Child and parent for the sake of justice need to be given equal chance and neither accepted as wrong before the investigation. Children with impure motives have used it for their benefit. When a child who wants to stay away from home for various reasons: sleepovers with friends, abusing alcohol/drugs etc., claims that the reason is child-abuse, as soon as the child calls this hot line number the parents are investigated and assumed guilty. 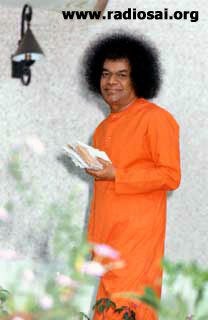 Sai Baba says, Women have a great responsibility which they have neglected; anxiety and worry are growing in the family and in society due to their neglecting the discipline that trains people to live self controlled lives. They do not distinguish between a cinema hall, a market or an exhibition, but talk and chatter everywhere, even in a temple, or a holy gathering. Children learn from them and they too when they grow up lose all reverence for elders and holy places. - Divine Discourse, Venkatagiri Prashanti Vidwanmaba Sabha, Dec 13, 1964. Disciplining a child today is considered unloving. How far from this truth have we traveled? Without discipline a child or adult exhibits subhuman behavior. Discipline is love, the tough love that cares enough to teach us to control our negative tendencies. Negative habits just don’t suddenly disappear when we become a teenager or adult. Negative habits unless stopped with loving discipline when they first develop in a child, just continue to exist. Yes, it hurts us and our children when we have to be firm with them. We do not like to do this because we want them to like us. But when they become adults, and others reject their behavior, because we did not teach them politeness, manners, thoughtfulness, kindness, and moral conduct, how will they judge us as parents? Presently, in classrooms and in our homes, children are not being corrected for mistakes because it will hurt their feelings and self-esteem. The modern thinking is, “If I hurt the child’s feelings; I hurt their self-esteem.” This concept is presently being used in some of our school systems that when we enforce discipline or correct a mistake, it will hurt someone and emotionally damage the child or persons self-esteem. In some of our school systems children are not having their class work corrected. For example miss-spelled words are not being marked wrong. Yes, we sometimes hurt but the emotional feeling of hurt is a caution signal that tells us that something is wrong inside and needs to be changed. It is not the correction that is hurting others but the manner in which it is spoken. If it is explained with truth, in a positive manner and a loving tone of voice, it can be accepted easily. It is both teacher and parent that have the duty to teach children what is right and wrong behavior. Self-esteem is not achieved through words but through our own effort. Learning is in itself only half of the equation. Knowledge without application is wasted. If a child is taught through words and example the meaning of self-esteem, and then is not able to accomplish his assignments or tasks, how can this be acceptable or acknowledged as self-esteem? Self-esteem comes from something that you have achieved. Self means your deeds, not empty words. Yet this is the belief today. Love is being defined as good feelings that come from being allowed to do as one pleases. The child is being taught selfish love. What has happened to the good feelings that we get from our performance of deeds? It doesn’t need to be a perfect deed but the effort that our children make to achieve needs to be applauded. When the child reaches adulthood and is not able to cope with the world, or feels rejection because of bad behavior, and insufficient learning skills to attain a livelihood, then the little emotional child within the adult will hurt. This comes from ignoring what happened in the past, and it can be a troublesome, lingering hurt buried deep within us that can be passed on to our children. This circle of negativity can continue down the family chain. How simple it would have been to correct the child’s error immediately instead of allowing it to hang on and fester creating a behavior that is unexplainable in the unconscious for years. Isn’t it more important to have a little hurt as a child, stop the negativity, and change the unwanted behavior that will improve the child’s self-esteem? The practical solution will be an emotionally healthy adult. Children know when they have done something wrong and they also know when we are telling a lie. Parents tell their child to do something. If the deed was not performed, we sometimes ignore this fact because of many reasons. When our child does not carry out our instruction and we ignore it, then this message is sent. “I don’t need to do what mom or dad said. I can do as I please.” If we tell a child one thing and do not follow through to insure that the act was accomplished, we are speaking an untruth. Our thought, word, deed and consequence are not one. We cannot prevent all the hurt in this world. I ask you, “Why are we making a big issue out of hurting?” Why are we emphasizing pain, suffering or hurting by trying to ignore or prevent it? Isn’t this a life experience that can teach us a lesson? The more we try to hide or prevent it; we are placing greater emphasis on it. This type of behavior that tries to evade discipline or correcting mistakes because it hurts, can lead us into a mistaken belief that we must avoid anything unpleasant at all expense. “I cannot acknowledge hurt because it is too painful.” I will only seek pleasure and ignore what is unpleasant. When the physical body hurts it is a warning that something is wrong. It works the same way with the emotions. As long as we have a human form, we will hurt inside until we learn to face our issues, change our behavior and then let go of them. Changing our behavior will bring acceptance from self and others. Bad behavior brings rejection. If we want our children to be rejected, spoil them. Let them do as they please, not what will please others. This psychology is what has created the “Me” generation. 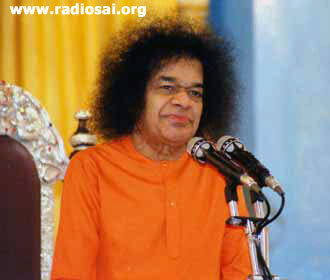 Sai Baba says, “Human birth is not meant to eat, drink and be merry and act in an arbitrary manner. Wherever you go, people will respect you only for your qualities. People should talk about you in such terms: ‘His behavior is exemplary; it gives us great joy to talk to him; if he just looks at us, we feel so happy.’ It is only your good qualities that bring joy to you.” - Sanathana Sarathi, February 2007. Can you imagine a society with fewer crime and divorce? In the past I could walk anywhere safely, even after dark. My parents did not worry as the parents do today. Divorce was not common and if this unfortunate event took place, it was serious and spoken in a whisper. We were taught that marriage was a Sacred Vow and that it was a permanent commitment. Divorce did not enter our consciousness. None of my family or friends divorced. When I was young, I thought it did not exist for real people; it only happened to the movie stars in Hollywood . The frequency of divorce came from the movie stars in Hollywood. You would hear it on the radio, read it in movie magazines and newspapers. Years later their behavior was being expressed in movies, television, etc. When we see something over and over again, we begin to believe that it is the norm. It programmed the subconscious. Now we have a worldwide epidemic accepting divorce as normal. After television, the values of the individual family were being overshadowed. Strangers entered into the home that spoke different values, beliefs, morality and showed unhealthy behavior, contrary to the parents. The value system of the parents were slowly being adulterated, drained out of their households because of the advanced technology transmitting shows and movies with horror, violence, permissiveness, murders, back talk and abuse to others. When I was young, we would listen to the radio and the programs were humorous and entertaining. Today entertainment is sensationalism, gripping horror and frightening scenes that saturate the various forms of media creating fear and immorality. How can you relax when you see television shows and movies in this type of format? Where is the entertainment that we long for, the laughter and pleasure? Life in itself is overwhelming; who needs to be reminded of it 24-7 especially in our leisure time. 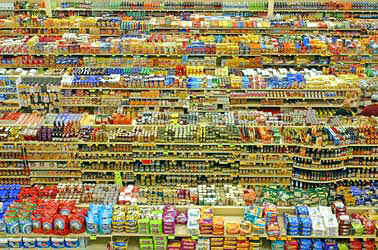 There were no supermarkets or mega stores when I was a young girl. The fruit and vegetable truck came to our street; the milkman delivered our dairy products; the bread man delivered bakery goods. I being the eldest of three girls would walk to the nearest deli or corner grocery store when mom needed something. Life was simple. Now in our mega shopping markets, you walk forever until you find the one or two things that you really needed, and end up buying what you didn’t need. Impulse buying is what the marketing people make every effort to gain. In 1990, we spent nearly one year with Sai Baba. When we went into Bangalore to get a Birthday card, there were about 20 cards to choose from. It reminded me of the simplicity of my childhood days. When we came home, and I had to get another card for one of my children, I went to one of the stores in the shopping mall. I stood in the store looking at the aisles of cards for my selection. I suddenly became aware of my experience in Bangalore with only a 20-card choice realizing how easy it was. I thought how much time and energy it takes us to shop because of the numerous choices, price comparisons, styles etc. Since this is the norm for us now, I had forgotten the easiness in shopping as a child until I had this experience. I was standing there for 15 minutes instead of a few minutes. What an impact this had on me! How easy it was in Bangalore to select a card. Shopping today is a real brain drain. I know India is no longer the same, caught in the senses trap just like we were in America when television began in the 1950’s and each year we become more and more ultimate consumers, as advertising and products are advanced. 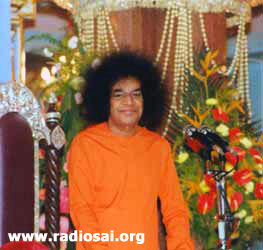 Sai Baba says, “Dharma (righteousness), Santhi (peace), Prema (love) and Ahimsa (non-violence) are internal. Forsaking his eternal and true internal qualities, man today is hankering after all that is worldly and transient. Man should instead internalize his vision and develop vision of the Self.” - Sathya Sai Speaks, March 2007. The information that my family had to process on a daily basis was limited. Let’s see - we had the church bulletin, the local paper, radio and family news. We did not have to use our mind to process what happened around the world every evening, only what was happening near us. 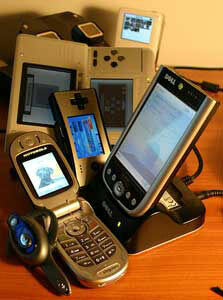 Imagine life without Internet, television, i-pods, and cell phones. Imagine the serenity of peace and quiet. Only, we cannot understand the quiet channel because ours has been stuck in the sprint mode. Our minds are in a torrent of stimuli bouncing off our senses and this creates a continuous thought processing pattern moving second by second. We are caught in a daily game of information gathering, driving us to keep up in order to appear informed. The outcome can make us feel restless, agitated, stressful and exhausted. We come home from work tired. No wonder. When we got television I was a senior in high school. We have seen things that I did not know existed. We have seen lifestyles that I did not know existed. We have seen products to purchase that I did not know existed. But the question I ask is how could I miss what I did not know? The more we see; the more we want. My father went to work and came home every night. Traveling was done in a car or bus to work and return. Mom stayed home except for an occasional trip into St. Louis for shopping. The children stayed home and if we wanted to go somewhere we walked. The nervous system had a button called “shut off” that was pushed after evening dinner. Dad would lie on the floor and listen to the radio. Mom, grandma and we three children would sit on the porch learning to knit or stitch and watch the sunset and sometimes play with our friends. Life was simpler and yet very valuable. We had time to communicate to each other. We helped our family and friends; we knew our neighbors, the shopkeepers and church members. Life is so fast now that we hardly have time to know our self let alone our neighbor. We did not have an air conditioner and the climate in the summer was hot and humid. Our occasional pleasure, on a very hot night was getting into the car and dad would drive in the country where it felt cooler. On the way home we sometimes would stop for an ice cream cone. This was a very special treat. My childhood expectations of pleasure were minuscule compared to the present generation and lifestyle. A handshake was enough for many business deals. A man’s word was his honor. Money was valued and not spent frivolously. A person’s character and honor were more important than money. Neighbors were known and helped. Children stood on a bus when an adult did not have a seat. Children respected their parents and teachers. Children did not interrupt adults; they waited to speak. Children did not speak back to their parents. They may disagree but obeyed. Children did not complain or criticize their parents to their friends. To lie was to lose honor. It is true that all was not perfect or good but the family was stronger because of our strong human values and our spiritual belief. We had a code of conduct that most of our community followed. There were no contradictions, interruptions and distractions in my childhood about our spiritual values or what was right or wrong behavior. The line was clearly defined. Our family culture and spiritual belief system was consistent. Our values seriously became challenged in the 1960’s and everything began to change. Sometimes people say the past generations are no different than ours. They had just as many hang-ups. Yes, people did have faults, problems and hang-ups but nevertheless our lifestyle, respect for others, and value system was entirely different. To deny this is an untruth. “I have personally come through the fifties, when family life was secure and healthy; through the sixties with its turmoil over authority, tradition, and overblown emphasis on the self; through the seventies, eighties, and nineties, watching great social experimentation bring forth some incredible advances, as well as devastating assaults on respect for authority, personal responsibility, religion, morality, and obligation to family and community. “I am finishing my fifth adult book on the edge of a new century. Each of its predecessors stimulated various passions and moods, encouraged self-exploration, and precipitated philosophical struggles within me. And each was generated by a desire to explore, challenge, and inspire. Sai Baba says, “Truth, righteousness, peace, love and non-violence are the five human values to be cultivated by a human being. You should learn all about these human values and put them into practice. Then your journey of life will surely become smooth and peaceful. This is my main message to you today. Truth is eternal. It is only when you follow this eternal truth that your name will remain in the annals of history forever. Eternal truth will earn eternal peace for you.” - Christmas Message, Dec 25, 2006. Dear Reader, did you find this article helpful? Do you have any experiences that you would like to share with us? Please contact us at [email protected] mentioning your name and country. Thank you for your time.